More Ghostly Encounters at Quarantine Station. Last week, I wrote about some of my ghostly encounters at Quarantine Station. Due to the long post, I have broken it up into two parts and this week covers both the Caretakers Cottage and the first class shower block. Both these buildings left me with a rather uneasy feeling and I was quite surprised that in one of them at least, my sceptical husband has been left wondering that there’s ‘something not quite right about that place’. 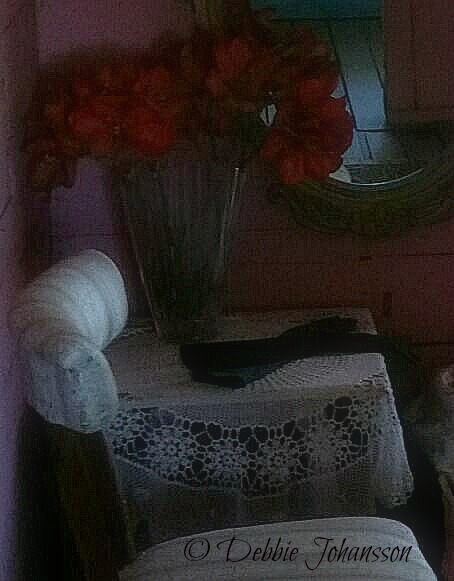 Further along our walk away from the morgue, we approached what the tour guide referred to as the Caretakers Cottage. As we approached, I thought it looked like a nice old house and I imagine it would look rather ordinary during the day. Our tour guide informed us that we were going to go inside, but told us very little about it. Some of the records regarding the Quarantine Station had burned in a fire and there was very little information to go by regarding the house, other than it had been used as a staff quarters. We were to go through the house in the dark and see for ourselves if we could pick anything up. Once again, my husband and I were the last ones to enter. As we walked through the first few rooms, our eyes slowly adjusted to the darkness and found there was nothing out of the ordinary. The house was quite warm and stuffy after being locked up all day and with twenty odd people walking through the house, things got a little bit cramped. At the back of the house were a sunroom, bathroom and laundry, which was north facing. The tour guide began calling everyone together into the lounge room at the front of the house, but my husband and I had not finished our viewing. My husband decided to go to the laundry, while I go to the bathroom and then swap before heading back towards the group. 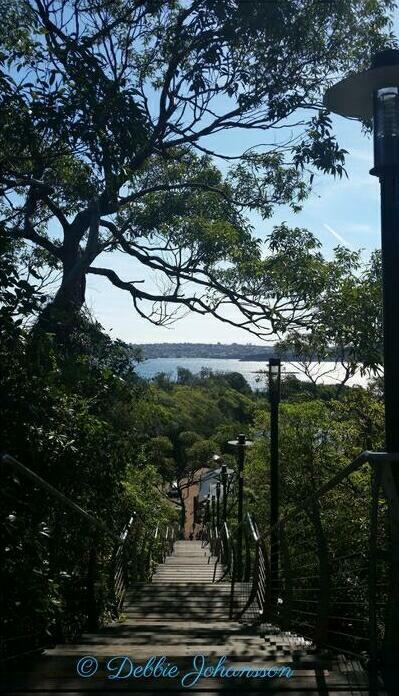 The steps down to the warf at Quarantine Station, Manly. Once I stood at the doorway of the bathroom, I was rather hesitant to enter as I had a bad feeling about it. Even though there was no light and my eyes had grown accustomed to the darkness, somehow, the bathroom was darker than the other rooms. Despite my hesitancy, I entered the room and on my left was the bath which had a window over it. As I approached the bath, the temperature dropped and I put out my hands towards it. I could feel a breeze circulating around my hands and it was then that my husband came up behind me. I asked him if he could feel anything and once again he said no. I told him I had to get out of there as I didn’t like the feel of it. I went straight towards the laundry, which turned out to be the coldest room in the house. It felt like walking into one of those walk in freezers. I didn’t waste any time in leaving the room and together my husband and I joined the group in the lounge room. Being the last of the group, we stood in the doorway facing the lounge room with our backs to the back of the house. No sooner had we arrived, I felt something touch my back and from that moment, I stood side on with my back against the doorframe. At this point, I noticed my husband had done the same. From such a position, I could see into the lounge room as well as keep a constant vigil towards the back of the house. The tour guide explained certain things about the house, including the belief from various psychics that someone had been murdered in the bathroom (in the bath) and that there was a bad spirit named Samuel. Some tour guides refuse to enter the house or take tour groups inside. During his talk, the EMF meters were said to have been going off the whole time and one of the group members asked to leave the building and was the only one to do so before the rest of us left. My husband later told me he was one of the other sceptics. Standing in the doorway, I had the feeling that someone was watching and they weren’t very nice. I felt they were angry and wanted us to leave. I felt most uncomfortable and kept looking towards that back room, where at one point I heard something drop upon the wooden floor. I said nothing about it; the tour guide did not notice it either, but it wasn’t until talking it over with my husband a few days later that I discovered he had heard it too. I left the house shivering with cold, with goose bumps upon both arms. As we walked away, I couldn’t help look over my shoulder towards the house, but I could not see anyone in the windows watching us leave (which has been reported to have happened once). The last building on the tour was the first class shower block. When people came off the ships they were required to have a shower, which were supervised and each shower cubicle had tiny holes placed in each one to make sure the people showered properly. Once again, we were to wander this building in the dark and foolishly, I was the first one after our tour guide in which to enter. It was only after taking a few steps inside that I didn’t like the feel of it and I was overwhelmed by the strong smell of urine (the tour guide later told me this was the chemical, carbolic acid, that was used on the patients). We were to stop midway and after we were all assembled, I saw a dark figure coming towards me. I instinctively moved back and the figure continued coming towards me, only to discover that it was our tour guide. He then proceeded to inform us about the various spirits within the building, including a ‘Gollum- like’ creature that if you walked into it, feels as if you have walked through cobwebs. Given its history, I was not at all surprised to feel like I was being watched in here and I felt exposed and vulnerable. This was why I needed my husband with me and he took my hand as we walked in single file around the showers. He walked in front of me and I told him to slow down as I looked in at the shower cubicles. Down one in particular, I caught a quick glimpse of some dark shape that didn’t look completely human. 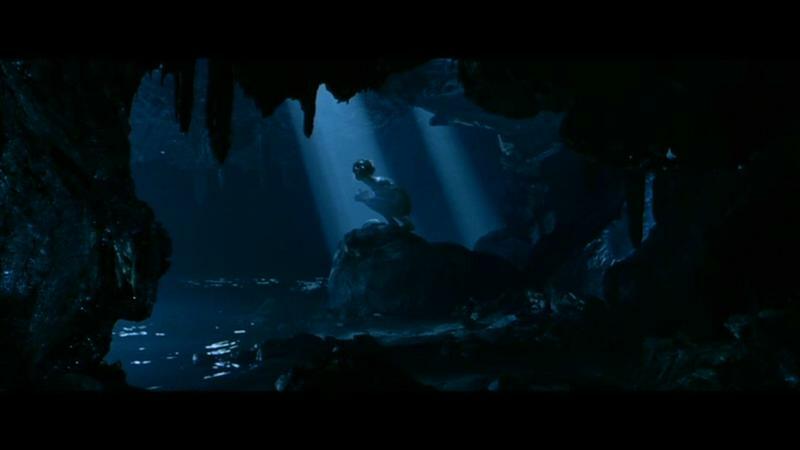 A ‘Gollum like creature’ is said to inhabit the First Class Shower Block. Before leaving the building, one couple believed they saw something white in one of them. I went with them to help them try to find it, but could see nothing. I heard the tour guide tell them once we were outside that a woman has been spotted in there. One other couple said they had also seen something, but it was different to what this other couple had seen. ‘I saw something too’, I replied. ‘I’m not sure what it was. It didn’t look human’. ‘That sounds like what we saw’. ‘It was a small, dark, shadowy figure. Broad shoulders and it was hunched over, like this’, I replied as I demonstrated (it was very much like the image of Gollum in his cave in the picture above). ‘That’s it!’ the woman exclaimed. ‘That’s what we saw’. ‘Oh good’, I said. ‘I’m glad I’m not the only one who saw it and not going mad’. I had asked my husband if he had seen it and he had not. It was with that final note that our tour had ended. Of-course in the light of day, I began questioning what I had seen and experienced. Did that really happen? Did I really see what I thought I saw? From the experience I learnt something about myself that I had suspected from childhood and am interested in finding out more. When we arrived home, my husband looked up the Caretaker’s Cottage on the internet to see if it had been investigated, but it had not. It had certainly piked his curiosity. Did you ever experience a ‘bad vibe’ about a particular building or place? What was the scariest place you have visited and would you go back? Have you ever experienced something you can’t explain? Ghostly Encounters at Quarantine Station. Recently, as part of my birthday celebrations, my husband and I visited Quarantine Station in Sydney. 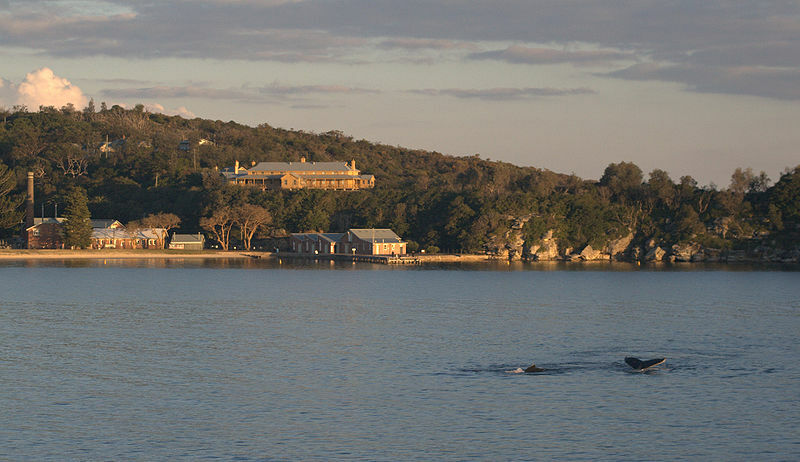 Quarantine Station was established in the 1830s for migrants arriving in Australia who might have had infectious diseases, such as Spanish influenza, tuberculosis and bubonic plague. 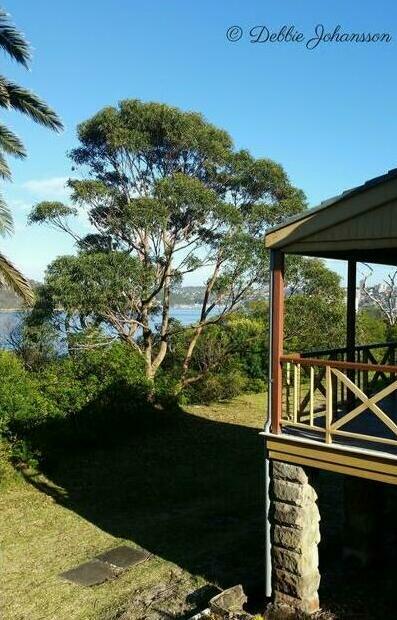 It ceased operating as a quarantine station in the 1980s. Q Station is now used as a hotel and conference centre. It also has a restaurant and caters for both weddings and ghost tours. Of-course being on a ghost tour was the main attraction for me. After having had some experiences at Monte Cristo, I was curious when it came to Q Station, after hearing it is regarded as one of the most haunted places in the country. My husband and I were in a group of about twenty people and the first building we came to was the Inhalation Chamber, situated near the Boiler House. Patients were placed here every day to undergo special treatments, using steam infused with zinc sulphate to protect them from such cases as Spanish influenza. Basically, they looked like two cement sheds joined together and our group was broken up into two halves and spent some time within each one of them in the dark. Unfortunately, we weren’t inside for very long before having to change rooms. Once finished, the tour guide spoke to us outside and gave us some information regarding this building. Some people in previous tours, he said had been known to experience smells. It was then I looked at my husband. 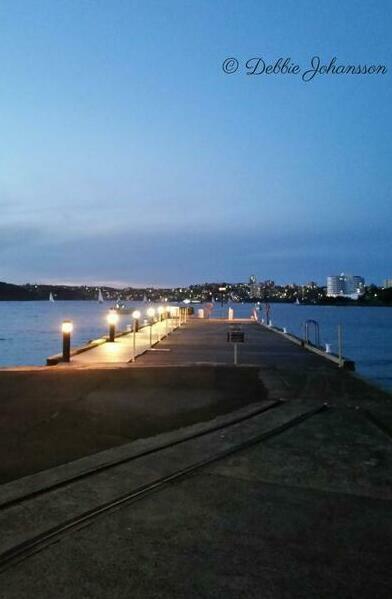 By the warf at Q Station, Manly, waiting for the ghost tour to begin. 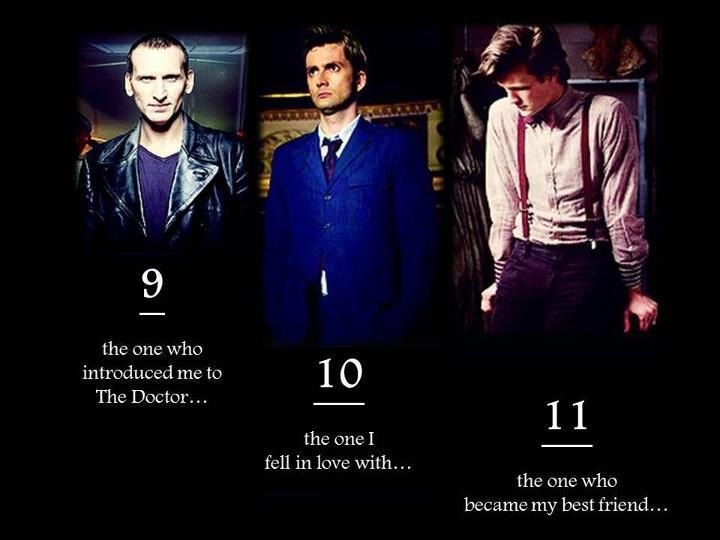 ‘The moment I walked into that first one, there was a really strong, sweet smell. I couldn’t smell anything in the second one, but definitely the first’. My husband simply shook his head. It was at this point, that I interrupted the tour guide and asked the people in the group if they had smelt anything. Their responses were the same as my husbands. Okay, this is weird. The tour guide looked at me and told me that I had passed the smell test. Trust me to be the weirdo amongst the group, I thought! Since my visit to Monte Cristo and being the only member of my family to have experienced something, I had become increasingly suspicious of a long held belief (since childhood) that I may be a ‘sensitive’. As we walked our way towards the hospital, my husband told me he believed that may well be the case. Within the hospital we were told of some interesting stories experienced by other people during the tours and some of the spirits that occupy the hospital, including a couple of nurses and the matron. As I sat on one of the beds, I felt something prick my hand and looking down I thought it may have been a mosquito, but saw no evidence of one. The tour guide informed us some people have felt the same, as if being pricked by a needle. My husband, the eternal sceptic, who stood nearby said he felt something cold brush up against him. 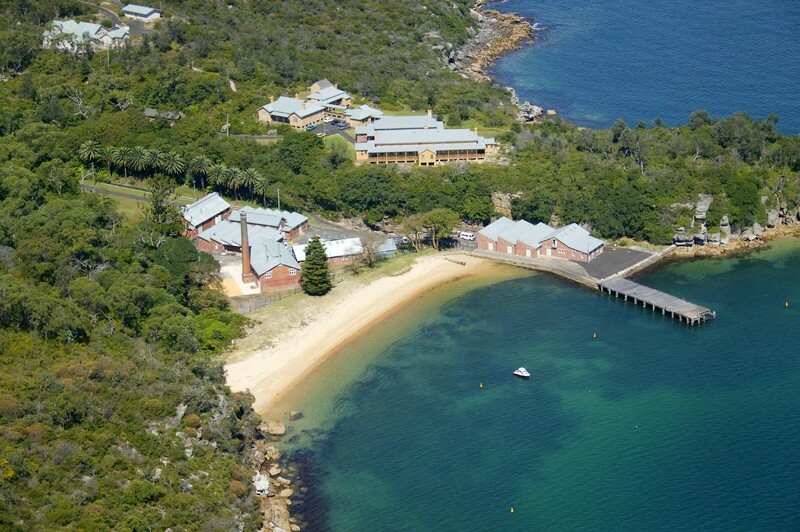 The Hospital, Boiler House and Wharf at Quarantine Station. Image courtesy Wikipedia Commons. Later, my husband and I were amongst the last to enter the morgue, which was a small building, so it was difficult to find a place to stand. People stood against the wall and in the middle of the room was the mortuary table. This was the only available spot for me to stand and it was here that I could smell the horrible stench of rotten meat. It was so bad I had to cover my nose and mouth with both hands, but I could not see anybody else picking up on the smell. The mortician, nicknamed Mr Slimy by the staff is believed to frequent the place. Eventually it went away and when the time came to leave the room, I was frightfully cold. I know it sounds cliché, but there were literally goose bumps on both my arms and I had to rub them in order to keep warm. Have you ever been on a ghost tour? Did you ever encounter anything unusual? Are you a sensitive? If you’re a sceptic, have you experienced anything that made you question your beliefs? Do Ghosts Move with Dwellings? 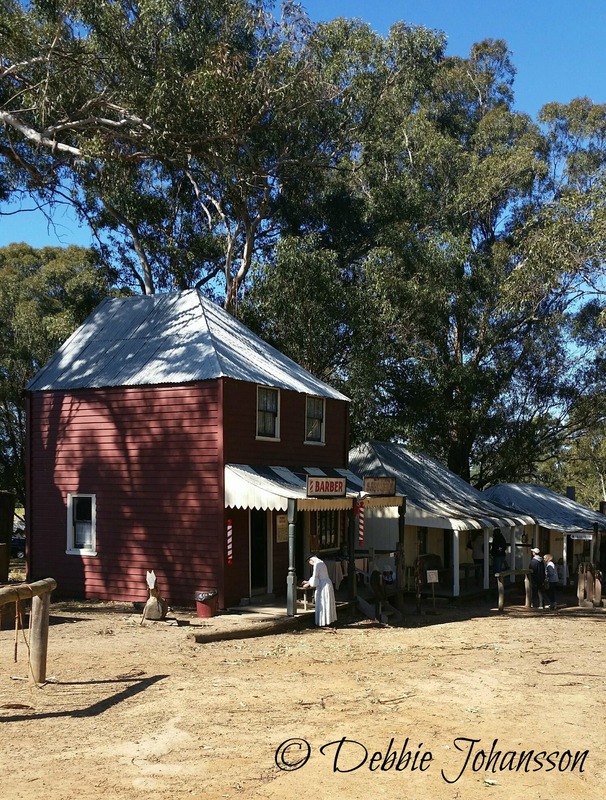 During a recent visit to Sydney, I took a tour of The Australian Pioneer Village. Opened in 1970, it was established in an effort to preserve some of the history of the Hawkesbury area, about an hour outside of the city. An enormous undertaking; about two dozen dwellings were relocated and their buildings kept structurally intact. Apart from dwellings, shops were also relocated, along with a bank, post office, school, church and police station. By day, it’s a journey into the country’s colonial past, however at night; it could be the most haunted street in the country. On an episode of Haunting Australia, the team visited the Pioneer Village to find any evidence that ghosts moved with buildings. Both visitors and workers alike have experienced unexplained phenomena at the village and ghost tours are regularly conducted. A young stable boy has been sighted outside the sulky shed, the ghost of a horse has even been sighted and numerous orbs have been caught on film. Marsden Park Public School, Mitchell Cottage, Case Cottage and Perry House are among some of the better known buildings for paranormal activity. Case Cottage is a centre of spirit activity and a male and female presence has been known to reside in the tiny space of Mitchell Cottage. Perry House is known to have had a checkered past, which includes a saddlery, grocery store and a ‘house of Shady Ladies’. As a result, it is said there is much activity here. Inside Perry House, once a ‘house of Shady Ladies’. Spirit activity has been known to occur here. During their investigations, the Haunting Australia team encountered a female apparition, a moving curtain, a knock in response and an EVP (electronic voice phenomenon). There was even a partial apparition sighted at the school house. Psychics reported sadness and requests for privacy from the spirit world. With such a positive conclusion, this may warrant further study amongst paranormal investigators. Their findings only strengthen the belief that spirits move with dwellings; after all, people do become so attached to their homes that they may not wish to leave them after death. Do you believe it’s possible for spirits to move with dwellings? Have you ever experienced any unexplained phenomena? 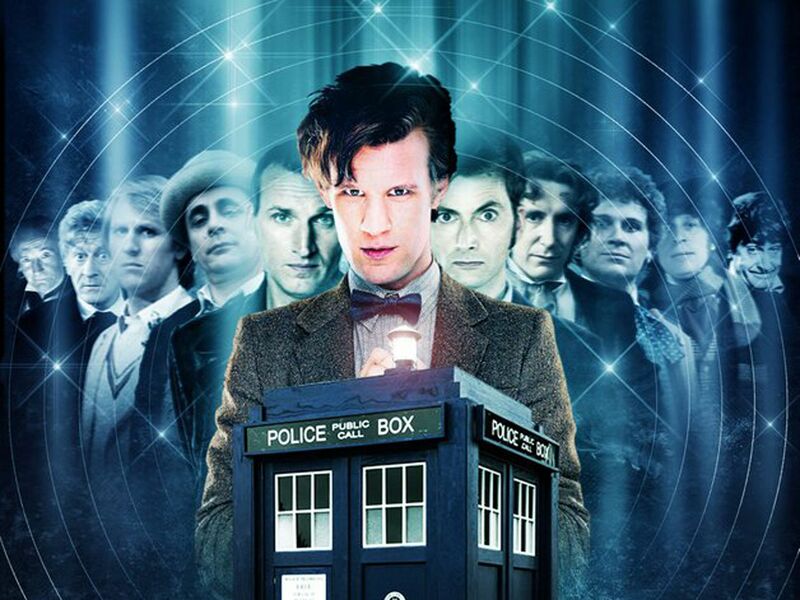 Do you enjoy taking a step back into the past? 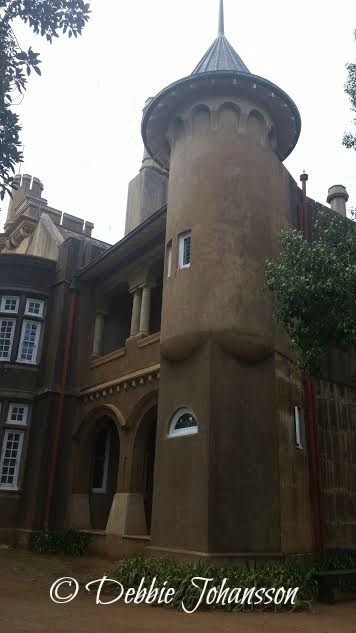 Iandra: Australia’s Very Own ‘Castle’. I’ve always loved castles. When I was a kid I used to envy the Europeans their castles (still do). They always interested me and I was fascinated by their history. Growing up in Australia, the closest we were likely to get would be a castle at a theme park, which doesn’t quite have the same appeal. 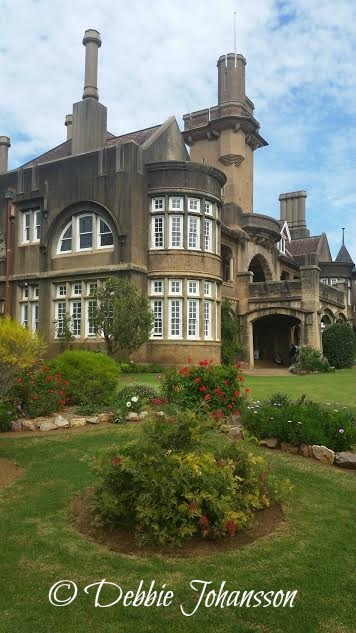 It was only recently that I discovered that here in Australia, we actually do have a castle and it is situated closer to my home that I realised. Situated near Cowra, a country town in Central Western New South Wales is Iandra Castle. Technically, it is not a castle, but a homestead; it is referred to as ‘The Castle’ by the locals. Built between 1908 and 1910, it is made of concrete with Tudor influences. Iandra is only open a couple of times each year and is popular amongst the locals. Walking around the castle is like walking into a maze with numerous doors and corridors. With two storeys, it consists of almost sixty rooms. Situated in one of the downstairs hallways is a detailed floor plan of the castle. I couldn’t help but think of the difficulties new house staff must have felt during their first weeks of employment. During its heyday, Iandra employed about 350 men to work the 32,000 acres. It also had its own store, post office and school. Iandra even had its own church, which still stands today. Inside, the castle includes its own games room, observatory and a smoking room for the gentlemen of the house. My husband was surprised to see more than one fireplace within the large stables, situated behind the house. With a clear distinction between the servant’s quarters and that of the gentry, it is believed Iandra is a rare example of the manorial system within Australia. Are you fascinated by castles? 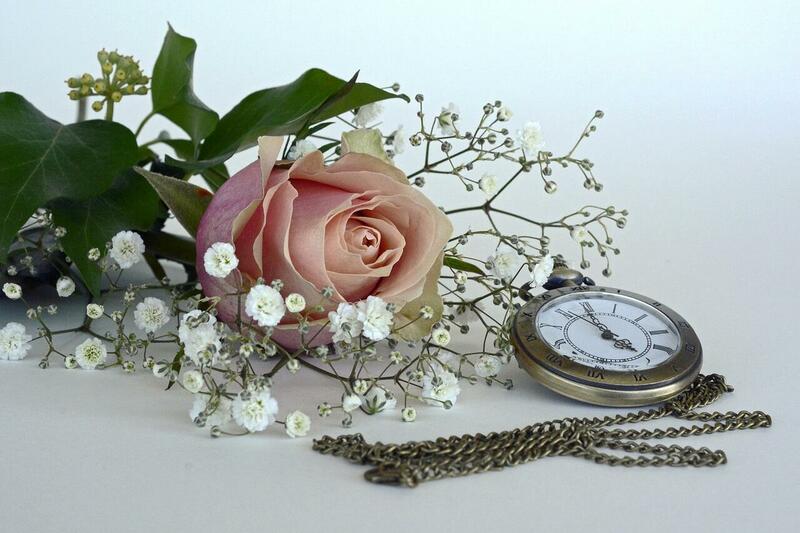 Have you spent some time in one – or even more than one? A Visit to the Versailles Exhibition, Canberra. The opulence struck me immediately, which I suppose was always its original intent. A bust and various portraits of King Louis were just some examples of his self-indulgence (after all he did call himself the ‘sun king’). 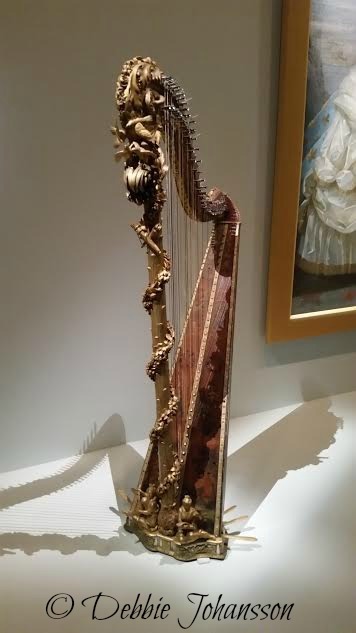 Despite the fact that on a personal level, the style of that period is not to my liking, I did not fail to appreciate the craftsmanship and level of detail that were involved in the objects on display. There are numerous paintings, including family portraits and pictures depicting scenes of the exterior of the palace throughout its various stages. There are also various items of furniture, as well as tapestries and rugs – some of which had never been used. The exhibition does not neglect the palace grounds, for on display are various sculptures and water features, including sculptures once belonging in the children’s garden depicting animals from Aesop’s fables. 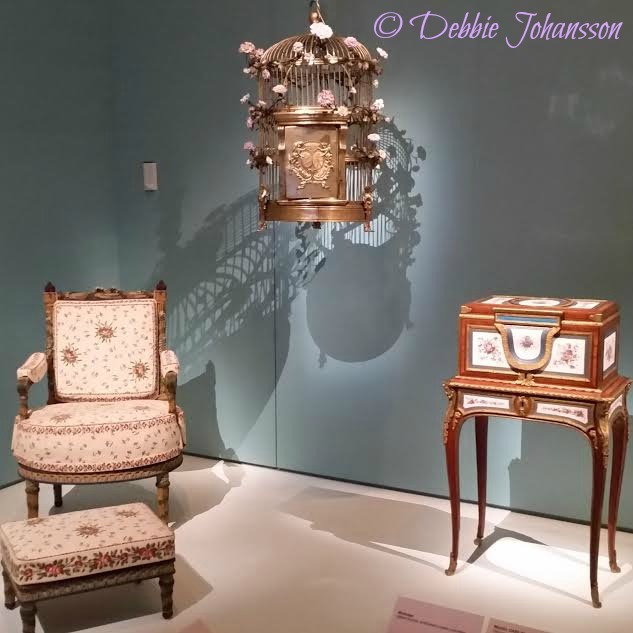 I spent the longest amount of time in the last room of the display; the room showing items that once belonged to Marie Antoinette. I had learnt back in High School about Marie Antoinette and the French Revolution, read A Tale of Two Cities (and I always, always, always cry at the end of the movie with Dirk Bogarde) and could understand why the people rebelled. However, it was not until I had seen all these items first hand (which are only just a small amount of items coming from the palace of Versailles) that I understood it better. I don’t blame the people for having a revolution, yet at the same time seeing that the king and queen were living in some kind of bubble. It was a situation that could hardly be sustainable. 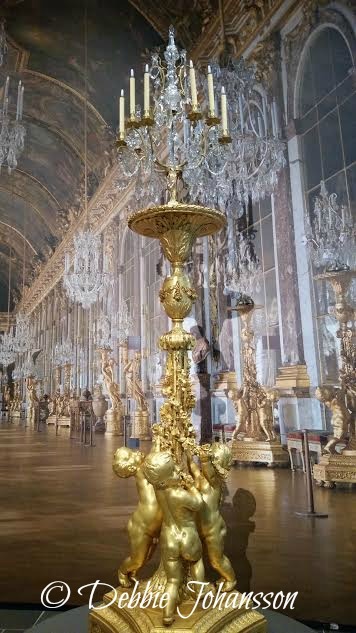 Have you visited the Versailles exhibition? Have you visited the palace itself? What did you think? Have you had a better understanding on a certain period in history once you have seen some of it yourself? What did you do over the Christmas holidays? Header image courtesy Ticketek, other images by Debbie Johansson.